How much can hangover cost to a government? At Uvinum we have always advocated for responsible and moderate alcohol consumption, as only healthy and effective way to enjoy the pleasure of tasting a glass of wine or any of the drinks we talk about in these pages. In fact, there is evidence that excessive consumption of alcohol affects not only people as individuals, but society as a whole, being a matter that directly affects the levels of health welfare of a country and, as discussed below, its economy. 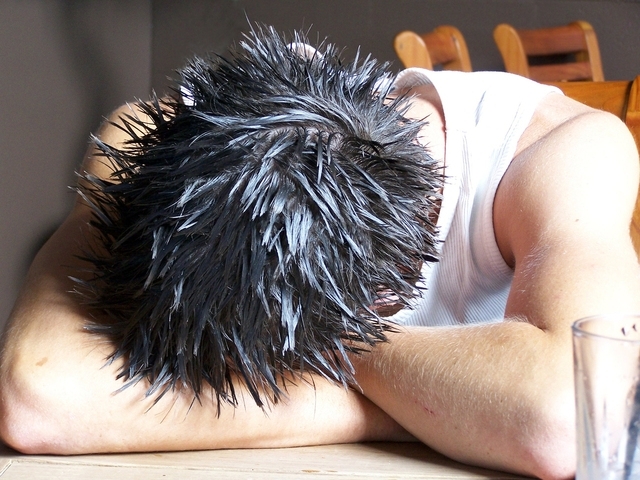 This is what emerges from a study performed by the Centre for Disease Control and Prevention of the US, concluding that hangover, i.e., “the delayed aftereffects of drinking too much alcohol in a relatively short period of time”, costs the US economy $77bn per year, as a result of low productivity and missed working days. Thus, among all economic damages caused by the excessive consumption of alcohol, such as traffic accidents, health, public safety problems, etc., the greatest impact is produced by hangover. If we add up all these factors, the economic impact rises to $249bn, an impressive amount that, according to the study, implies that each drink sold in the US has a cost to the economy of $2.05. We are convinced that if we conducted this study in Spain or other European countries, the results also would be equally surprising and disturbing, something that probably should be taken very seriously by the authorities, especially in times of recession as we currently live. The study, which analysed economic data from 2010, has been led, among others, by Robert Brewer, head of CDC’s Alcohol programme, which stated: “The increase in the costs of excessive drinking from 2006 to 2010 is concerning, particularly given the severe economic recession that occurred during these years. Prevention strategies across the country are being under-used”. Leave a Comment How much can hangover cost to a government?